Heart-Wrencher is one of the few female Dreadnoks around. She was mechanic and chop-shop operator, as well as a skilled driver. Only appearing in 11 issues, not a lot is known about her, nor was there much character development for her. 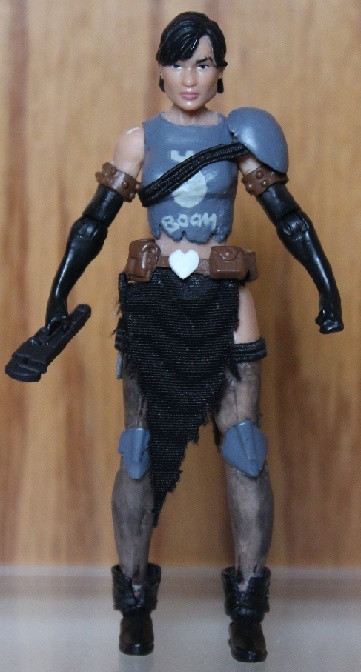 Still, I was anxious to add her to the Dreadnoks though and grow their membership. The collector's club version wasn't a bad rendition, being limited to existing parts, but I wanted something a little more comic accurate.